The Carolina Recycling Association is excited to announce the second Southeast Construction & Demolition Debris Recycling Conference. This year's conference will be held Dec. 6-8 in "famously hot" Columbia, S.C., at the Downtown Marriott. Drawing on the expertise of government staff, as well as volunteers from government, private business and nonprofits, the conference committee is drawing together a wealth of information to be presented in December. As the program agenda is finalized, we will again be submitting the tour and sessions to the U.S. Green Building Council, the Solid Waste Association of North America and the National Association of Home Builders for CEU approval. the recycling industry (haulers, processors, manufacturers), giving them a chance to network, share information and learn from each other. Last year's conference was a resounding success, drawing over 220 attendees from the Southeast. 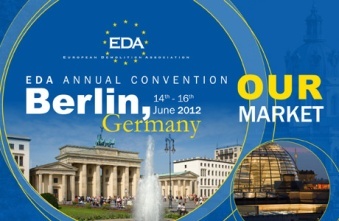 We invite you to visit www.cra-recycle.org to find out more about the C&D conference. Also, if your company is interested in being a part of the conference, we are still accepting exhibitors and sponsors. We hope to see you in Columbia in December.